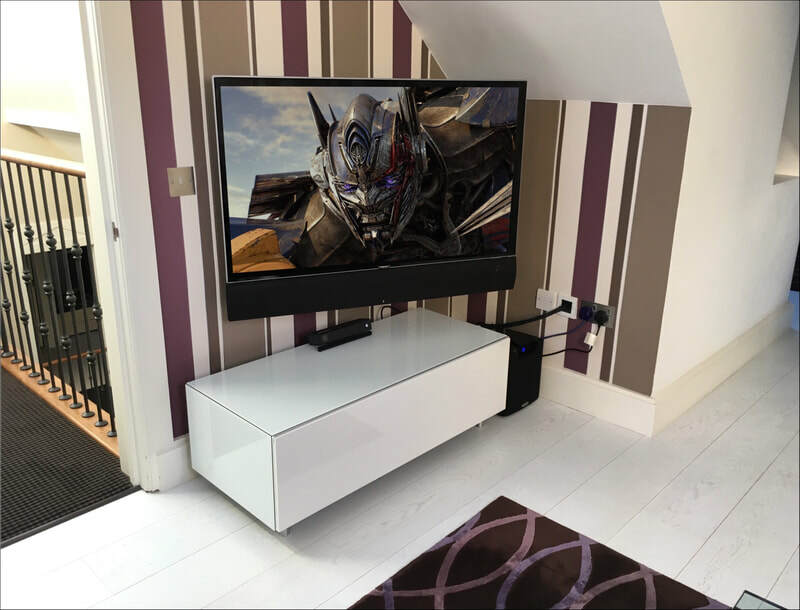 We worked together with this family to install a new home networking system, the construction of the house meant there were many WiFi dead spots, these simply could not be fixed by hardware supplied by BT. We embarked upon a course of carefully installing new cabling (without requiring redecorating) to allow for new wireless hardware to be installed. The end result was super fast internet access throughout the home wherever you are. 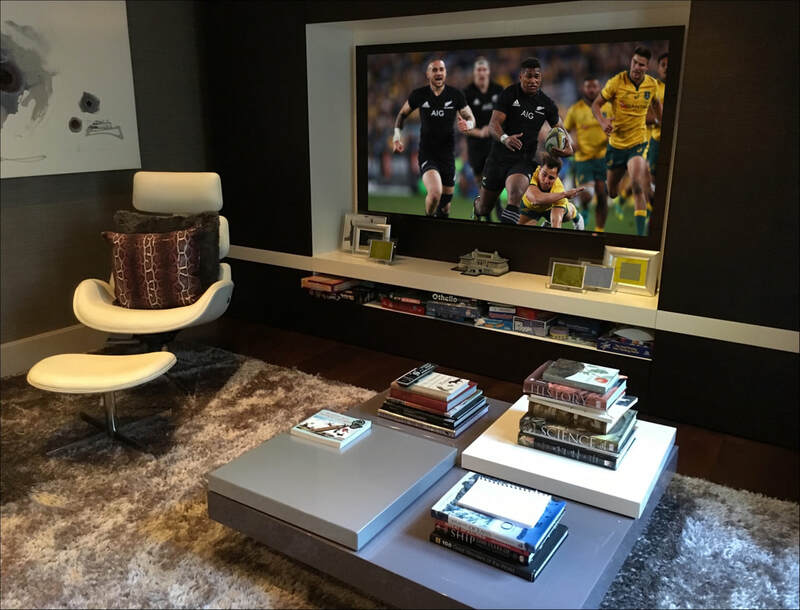 The next project was to update the existing cinema room and to improve its functionality. New hardware was installed to allow for HD video playback and a new simple to use, single remote control programmed to control all of the devices. The improvements in performance and easy of use are easy to see. 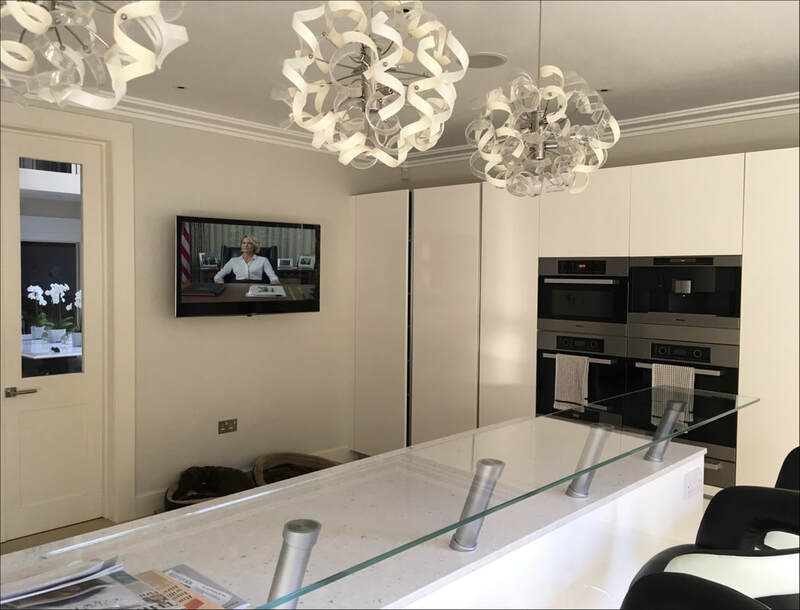 The Kitchen & family room required a new AV system to bring it up to date and this was installed and connected to the existing Sky HD service.